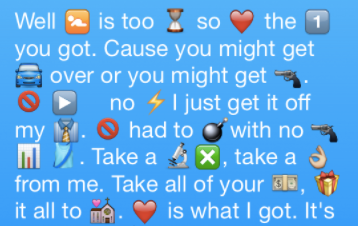 One night, I re-wrote an entire Sublime song in emojis. I can’t remember what prompted me -- maybe I was just bored. But I spent a few hours and spelled out Sublime’s “What I Got” in its entirety with the tiny images. Emojis are fun and relatable -- everyone can understand them. Emojis can convey a lot more than words -- especially when you’re not face-to-face with your audience. When used correctly, emojis can make you feel something, whether that’s excitement, recognition, or happiness (🙌 ). Here at Leanplum, we were eager to explore how emojis can help mobile marketers communicate with users in a more personalized fashion. After all, we all use emojis every day -- in our texts to friends, work emails, social media posts, and so on. 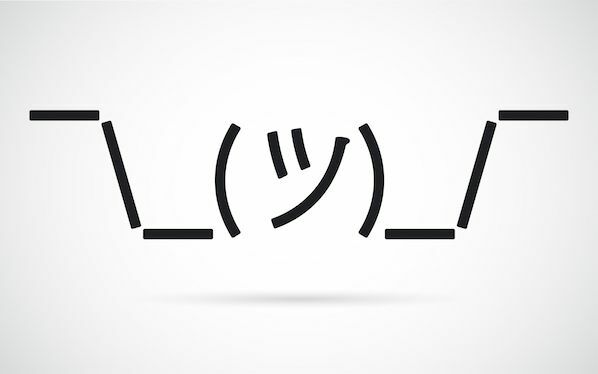 But what happens when a marketer sends an emoji? To find out, our data science team analyzed 2.6 billion push notifications containing emojis. We looked at every facet of engagement -- opens, conversions, retention. And we found some interesting results. We crunched the numbers to create a data-backed guide to using emojis, designed for mobile marketers. 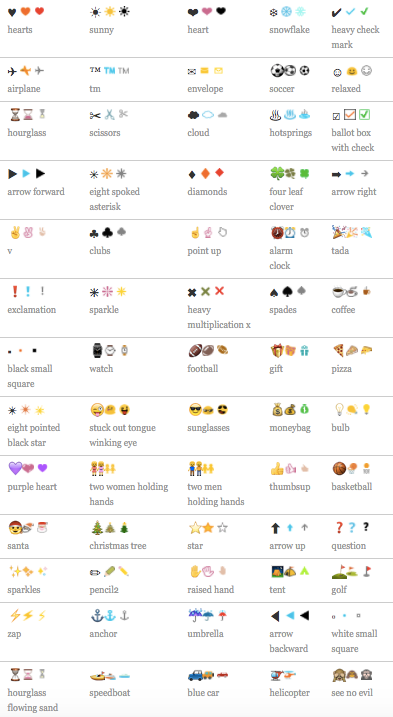 Why Do We Love Emojis? For one, emojis are great for conveying tone, facial expression, emotion -- and in my case, even song. When you have a conversation with a friend face-to-face, it’s easy to express sarcasm. But on the internet, it’s a little tougher. According to scientists, when a person sees an emoji in a message, their brain lights up the same way as when they see a human face. The brain recognizes emojis as nonverbal information, and as a result, emojis are then processed as emotions. Emojis have the power to change the mood of the reader. 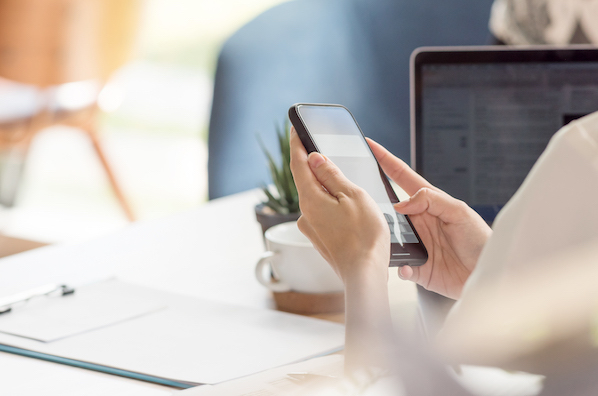 If someone sends 🤘, 🙌 , or 😂 in a push notification, it will spark the warm-and-fuzzies in whoever reads the notification. Naturally, more people will want to click on something that makes them feel good. In our data, we found that the library of emojis that marketers can use has increased in size by 108%. This makes sense, considering hundreds of new emojis were added just last year. Now, it’s easier than ever to find an emoji that relates to you, and even looks like you. The list of new emojis includes some of our all-time favorites, like the rainbow flag 🏳️‍🌈 , a David Bowie tribute👨🏼‍🎤 , and new options for genders, races, and diverse family representation . 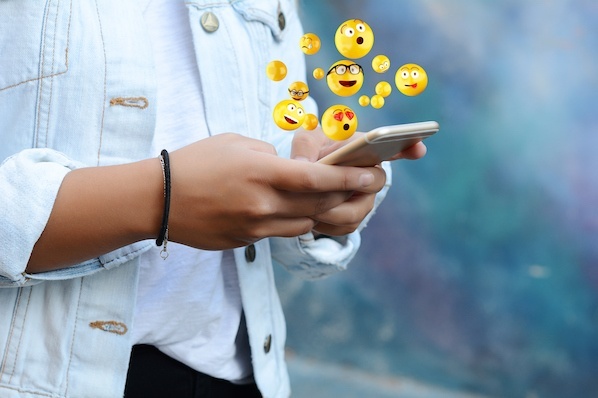 With this in mind, emoji use has increased dramatically across most communication channels, including advertising, social media, email, and mobile push notifications. Let’s take a look. There’s absolutely no shortage of advertising that contains emojis. A quick Google search for “best emoji advertising” turns up over 70 million results. Brands can play a powerful role in how emojis are perceived by the public. Take Taco Bell, which started a petition signed by thousands of people and resulted in the creation of the highly requested taco emoji. 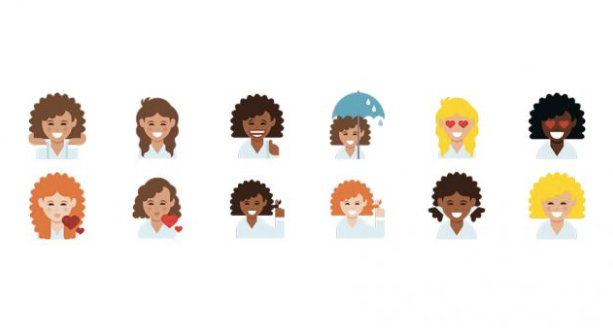 Or Dove, which created its own set of emojis that depicted people with curly hair -- a contrast to the default emojis that all have straight hair. The emoji trend in media has spread far and wide. This year, I spotted an emoji in a Super Bowl commercial. And the word is, there’s an upcoming film called “Emoji Movie” due out later this year. One of my favorite emoji advertisements was a love story run by Pepsi. A man created signs depicting emojis to express how he felt about his partner and asked for her hand in marriage. This ad could have been run in any country. Love isn’t the only universal language at play here -- emojis are, too. Emoji usage has exploded across social media as well. Just check out this real-time tracker of emoji use on Twitter. Emojis are used every second, in astounding numbers. Instagram and Twitter aren’t the only social channels seeing a rise in emoji use. 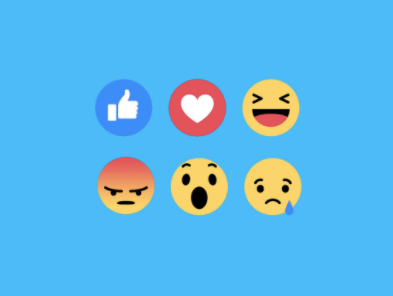 In February 2016, Facebook revamped its “like” button to include emoji reactions. People have since been able to share how they feel about a particular post, without using any words. On Twitter, emojis result in 25.4% more engagement. For a real-life example, check out Bud Light. The company tweeted an American flag comprised purely of emojis for the 4th of July, and it received nearly 140,000 retweets. The takeaway for marketers: Love for emojis has increased use across all platforms. It’s a critical factor in garnering more brand engagement across media platforms. 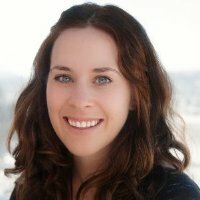 How do emojis impact email open rates? 64% of people say they open an email due to its subject line. Naturally, emojis must have an impact on that. In a study, myclever Agency found that 56% of brands saw an increase in open rates when email subject lines included emojis. Furthermore, there was also a higher clickthrough rate -- meaning recipients were engaging with more emails due to emojis. The image details the iOS, Android, and Outlook emojis, so you understand what your message looks like across all platforms and devices. 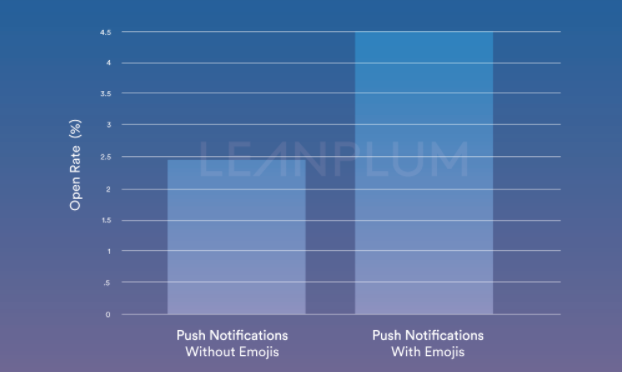 To analyze how this trend carries over from other channels, we tracked the year-over-year increase of emoji usage in push notifications in our own report here at Leanplum. 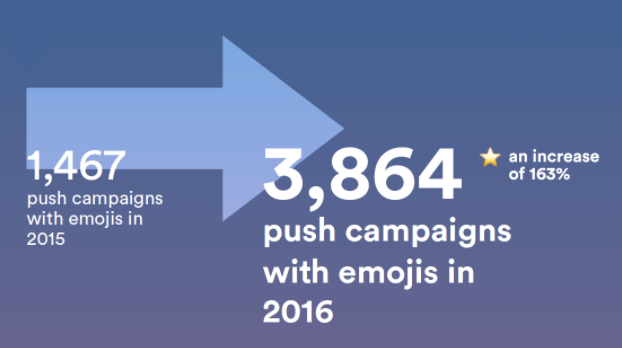 We learned that between 2015 and 2016, emoji usage in push notifications rose 163%. Emojis are a popular medium with which to communicate with users -- wherever those communications may live. But beyond popularity and novelty, how do emojis impact your bottom-line KPIs? It turns out, emojis can do a lot to improve mobile marketing outcomes. First, we analyzed the open rates of push notifications that contained emojis vs. push notifications that did not contain emojis. It turns out, there was a significant difference. 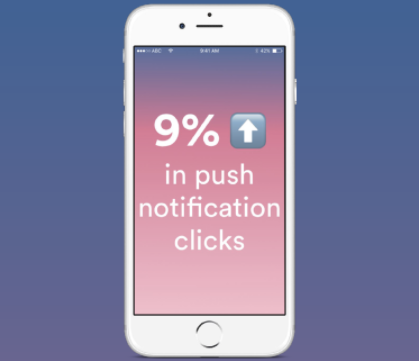 Push notifications with emojis saw an 85% increase in open rates. Emojis can also have a direct impact on calls-to-action (CTA). Mobilityware, a mobile gaming company that develops addictive card and casino hits, wanted to understand the impact of emojis in its messaging campaigns. It set up an A/B test via a push notification, offering players the chance to collect bonus chips. In the test, one notification included an emoji, the other did not. The push notification that contained an emoji saw a 9% bump in users who clicked the CTA. Yet another app ran an experiment with emoji push notifications that we analyzed in our report. For US users on Android smartphones, the day two retention rate increased by 28%. This growth illustrates a huge win during a critical point in the user cycle to ensure continued app adoption. When users engage with your app from the beginning, they’re more likely to stick around. In fact, we’ve found that if you can increase retention during the first 10 days after install, you can increase retention for the entire first month. Finally, emoji engagement extends beyond push notifications to other forms of messaging, too. 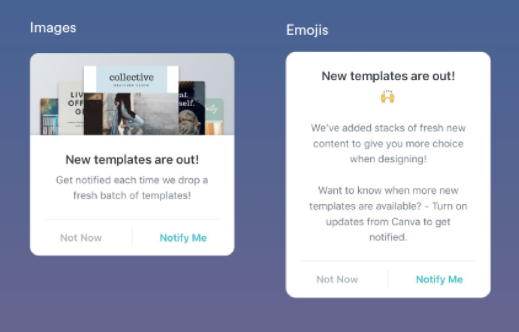 Canva is a drag-and-drop design app that helps anyone make beautiful graphics. It ran a messaging A/B test that pitted emojis against images. Half its audience received an in-app message with text and an emoji; the other half text and an image. The result from our analysis: the emoji variant outperformed the image version by 9%. Mobile brands should continue to experiment with emojis in all their messaging, from push to in-app and email. The sky’s the limit 🌤 when it comes to emoji engagement. To get started, check out our infographic below. It lists 25 emoji power⚡️ words to consider using in your next push notification. 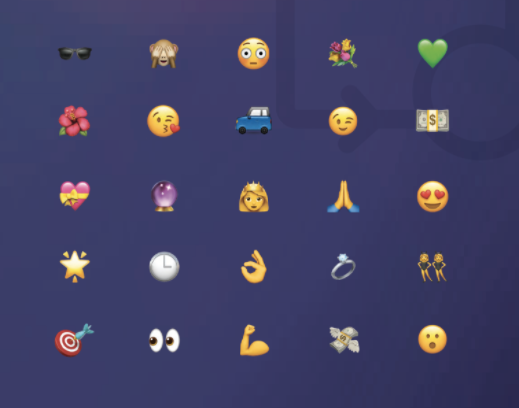 Each of these emojis had an above-average open rate. These high-performing emojis can help you boost your push notification engagement and conversion rates. To get more juicy emoji data, download the full report from Leanplum, "Winning App ❤️ (& 💸) With Emojis."